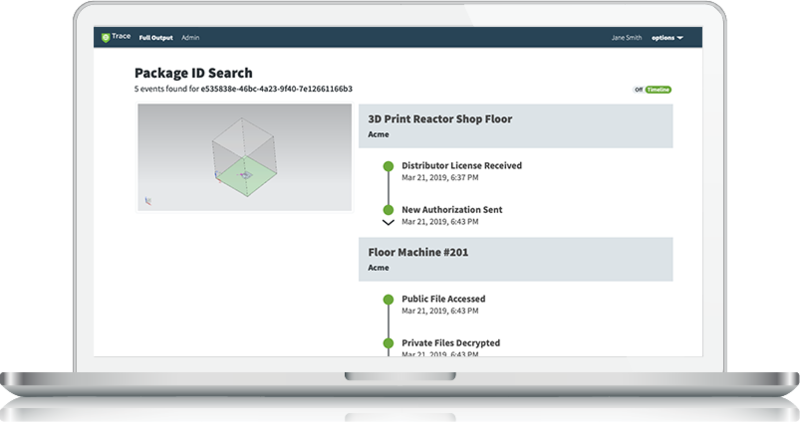 Identify3D Trace™ records all operational and transaction details providing an audit trail everytime a files moves in the digital supply chain. Trace™ enables the origin of a product to connect back to its digital twin. The underlying architecture of Identify3D allows for seamless integration within a blockchain. Large data sets such as log files requiring traceability can have their provenance attested to by storing the hash of the data set as a ledger entry, while preserving the actual data within Identify3D Trace™.